Vote for Bearded Women Racing!!! 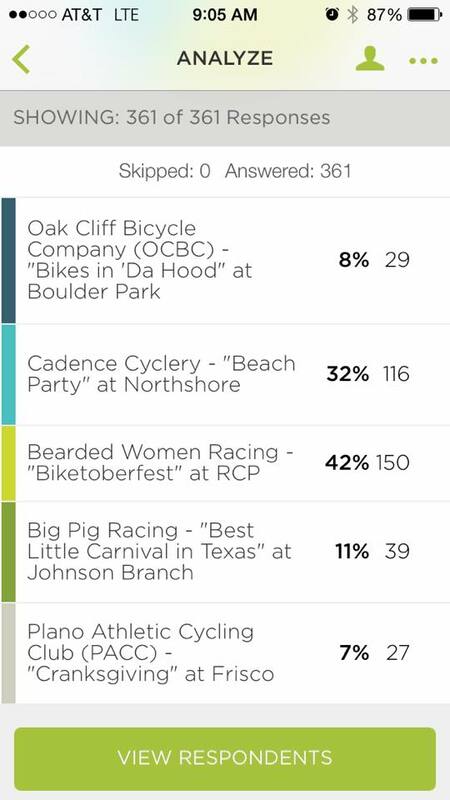 Our team is in the lead for Best Team Event Theme for DORBA’s Fall Race Series for Biktoberfest! Please share this post and help us win the Best Overall Team Award. You can VOTE HERE on multiple devices more than once.